Consider this a collection of links, I guess, like the whole interwebs. 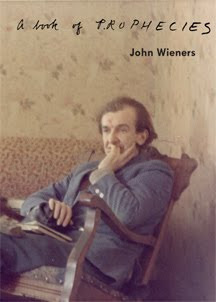 I find myself periodically fascinated by John Wieners, enough so that I've tracked down a number of his books, most of them long out of print, but well worth the minor searching you'll have to do to find them. He died in 2002, and I much regret that I wasn't 'on the scene' back then because I would have loved to meet and talk with the man for just a few moments. He seems to have had very little regard for his poems toward the end of his life, furiously scribbling on paper bags, receipts, or anything else that came to hand, but his poetic legacy is relatively large--cult figure--and deserves all the attention and prominence it can get and more. 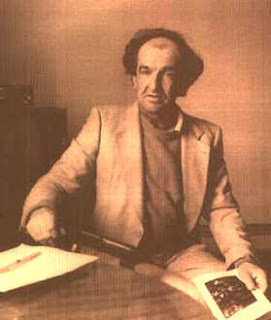 Here are a few links to help you get a sense of the man and his work. From Jacket, a biographical and historical piece by Pamela Petro. What I find interesting in Wieners' books is the steady forward march of change; his late poems really don't resemble his early ones at all, and there are gems in both, unlike, say, the later work of his friend (and obsession?) Robert Creeley. These poems, particularly the Wentley poems and much of the early work, ring clear with lyricism and the steadily observed sometimes unpoetic image, the agitated meditations on love. Later, his work took on a bit of the surreal. He seemed in his personal life to have succumbed to inhabiting his own world. This may or may not have been a reaction based on his mental health at the time, which bio notes suggest was fairly extreme in its scope even by today's standards when every poet's mood disorder seems part and parcel of their identity as poets. Take some Paxil, make a poet. Urgh. I say that with all due respect to the mental health care industry, which does its best for me and many of my friends. I hope. And let me not forget, somewhere in Cambridge is Pressed Wafer Press. I don't know if they still print books or not. I can find no editor info, and catalog info is sparse.